We’ll draw a winning name (at random) on Friday, March 3, 2017. The concert is scheduled for Sunday, May 21, 2017, with doors opening at 4 p.m. and the concert starting at 5 p.m. This concert is part of the Kidz Bop Best Time Ever Tour. 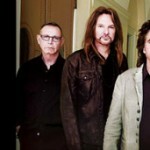 Prices range from $29 to $45, and all tickets for this concert are for SEATS (not the lawn) at the AMP. The Kidz Bop show is known as the “ultimate family-friendly live concert” and it will feature new songs, choreography and set design. 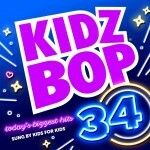 The stars of the show are the kids featured on the newest release of Kidz Bop 34, which hit the market last month. Kidz Bop has been named Billboard Magazine’s No. 1 Kids’ Artist for the past seven consecutive years. It’s also the No. 1 music brand for kids, featuring today’s hits “sung by kids for kids.” Kidz Bop has sold more than 17 million albums and generated more than 1 billion music streams since the brand was launched in 2001. Last year, Kidz Bop accounted for 23% of all children’s music sold in the United States. Parents also appreciate that Kidz Bop features more family-friendly lyrics for songs popular on the radio. 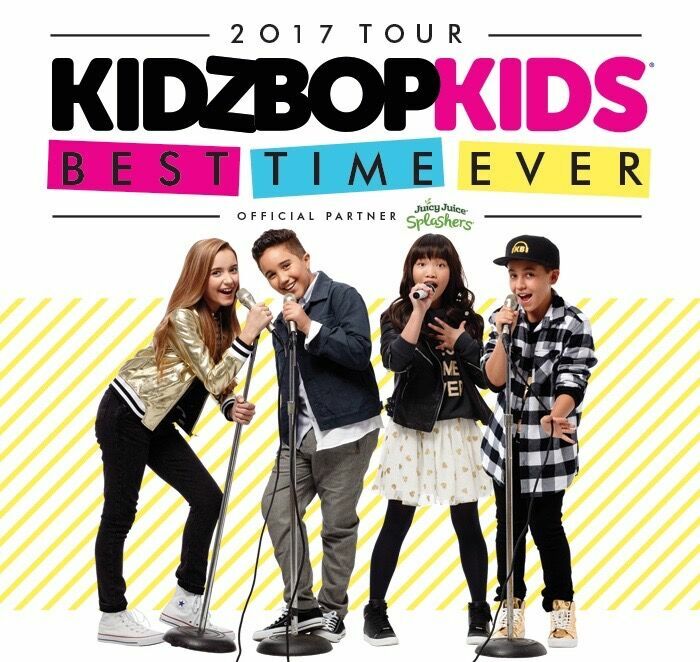 For many families, Kidz Bop is the first concert experience their kids have. 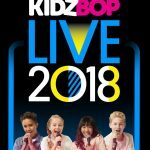 HOW TO ENTER: If you’d love to win these tickets to Kidz Bop in concert, click on the word “comments” (right under the headline of this post) and scroll down to the bottom of the comments posted by other moms. Then write a quick comment telling us what your favorite Kidz Bop song is. 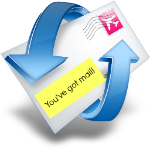 We’ll choose the winner on Friday, so keep an eye on your inbox! 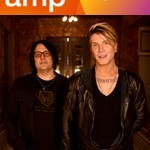 Tickets can be purchased in person at the Walton Arts Center Box Office, by calling 479.443.5600 or by visiting www.amptickets.com. To check out the newest stars of Kidz Bop in action, click the play arrow below to see one of their latest music videos. 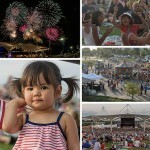 Giveaway: 2 Family packs to the Walmart AMP fireworks event! We love to karaoke to Katy Perry on the Kidz Bop CD’s! My girls and I love to have dance parties to kidz bop music all the time, but I think their favorite song is My House!! Hey, I would love to be a cool mom and score some points!!! We love anything by Kidz Bop! My ten year old daughter loves to sing!!! My favorite KidzBop song? None of them. But my kiddo loves em all!! My kids love these a lot. We listen to them when we need a little bounce in our step. I can’t name a favorite, but my 5 year old granddaughter surely could! I’d score serious points if I won tickets for this! Thanks! My kiddos love Shake it off, they sing it all the time!! Follow on fb, twitter, Instagram and get the newsletter. My 8 yr old literally walks around singing or humming constantly. She loves shake it off!! She would love this concert! My kid’s Favs are Shake It Off and Best Day of My Life. 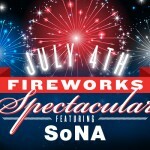 My daughter loves Fireworks by Katy Perry. We heard an ad for this on the radio and my daughter was like let’s go! We listen to Kidz Bop in the car on XM Radio! Right now, our favorite song is All Time Low. This would be a perfect show on my daughter’s birthday! My girls love listening to Kidz Bop! pick this granny to take grands! We love all Kidz Bop songs but right now my son’s favorite is probably 24K Magic. Fire Burning, but they are all good! My house or anything my Katy Perry or Meghan Trainor! we love all their songs. All of the songs are fun! This would a perfect bday present for my almost 9 year old!!! GDFR is his favorite kids bop song! Uptown Funk. My 4 year old loves to play his drums to the songs from kids bop! My kids are always playing Kids Bop and our favorite must play..over and over and over again is…Our House! My kids love the Song Downtown that Kids Bop sing. They will listen to it over and over :). My daughter loves “Can’t stop the feeling” & “Me Too”! I would love to take my son. This would be his first concert!! My kids love all their songs but one of their favorites is All About That Bass. My 11 year old granddaughter LOVES “all things Kidz Bop! She especially loves the read/sing along CD’s that includes the patriotic songs. Her favorite is “America The Beautiful”. I would so love to take her to this! Party in the USA or shake it off. My kids love to sing and dance! I would have to go with my daughter’s preference… shake it off!! We like 24k Magic, Can’t Stop the Feeling and Fight Song! My youngest daughter is always singing a song she heard Kids Bop. She would love the concert! I also follow on Instagram and commented on Facebook! My favorite is My House. Thanks for the great giveaway.